FUJAIRAH, United Arab Emirates, March 26 (Reuters) – R efiners around the world have invested about $1 billion so far to produce low-sulphur marine fuel to meet new regulations coming into force in 2020, a BP executive said on Tuesday. International Maritime Organization (IMO) rules will ban ships from using fuels with a sulphur content above 0.5 percent from 2020, compared with 3.5 percent now, unless they are equipped with so-called scrubbers to clean up sulphur emissions. Since the deadline for the shift was set in 2016, shippers and refiners have scrambled to prepare for the new standards. “There’s certainly strong supply of compliant fuel oil, particularly in hub locations (like) Rotterdam, Singapore and Fujairah,” BP’s global head of marine fuels, Eddie Gauci, told the Fujairah Bunkering and Fuel Oil Forum. “There’s been a huge amount of investment in refineries since 2015 and (it) will continue beyond 2020,” Gauci told the gathering in the United Arab Emirates, saying investment to deal with the shift had reached an estimated $1 billion. BP said in March it was set to sell its new very low sulphur fuel oil (VLSFO) globally, echoing announcements by oil majors such as Royal Dutch Shell and Exxon Mobil. In smaller ports lacking adequate fuel storage to hold the range of fuel grades needed, suppliers of compliant marine fuels could turn to floating storage, as land facilities adapt to the shift. 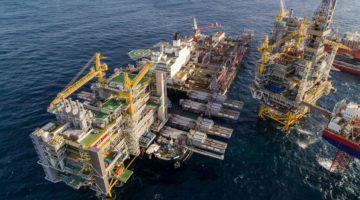 “We will see some floating storage of high sulphur or low sulphur for a period of time until the land-based infrastructure establishes some kind of equilibrium that’s in tune with what grades of fuel are called for in particular locations,” he said.